Since I received the resolution of the Board, there have been made to me over a hundred applications by parties seeking to be sent to the Workhouse [in Tralee]. They say they are satisfied to die after going there as they are sure of getting something to eat while life remains and of being buried in coffins. In the December of 1847, the Dingle Guardians on the Board of the Tralee Poor Law Union petitioned for a temporary workhouse to be set in Dingle. This was to be "for the reception of the poor now reduced to such a state of hunger and weakness as to render them perfectly unable to travel to Tralee". The following month, a free site was offered by Lord Ventry, and the Dingle Union formally came into being on 22nd Feb 1848. Lord Ventry was, however, ousted as Chairman of the Board of Guardians following the return of a large number of nationalist members. Co. Kerry: Ballinvoher, Ballyduff, Ballynacourty, Brandon, Castlegregory, Cloghane, Deelis, Dingle, Dunquin, Dunurlin, Inch, Kilmalkedar, Kilquane, Kinard, Lack, Marhin, Minard, Stradbally, Ventry. The Guardians met each week on Thursday. 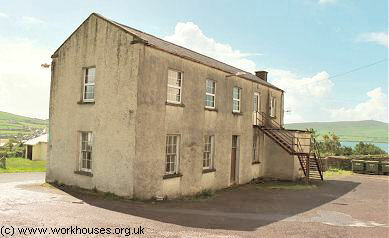 The new Dingle Union workhouse was opened in 1852 on an eleven-acre site to the north-west of Dingle. Designed by the Poor Law Commissioners' architect George Wilkinson, the building accommodated 700 inmates. Its construction cost £6,850 plus £1,380 for fittings etc. The site location and layout are shown on the 1893 map below. 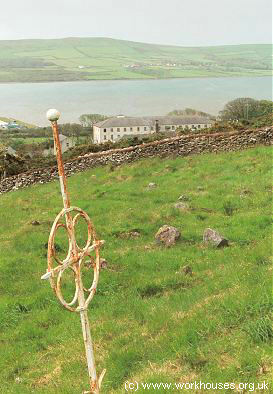 The layout was broadly similar to many of Wilkinson's earlier designs and was similar to that erected for the Castletownbere Union erected at about the same time. At the south of the site was a low entrance block which probably contained the porter's lodge, school rooms, probationary wards, and offices. The main building comprised two closely placed parallel ranges, joined by a short central link. The larger front block was three storeys high, probably with the Master's quarters at the centre, with able-bodied males and females to each side, and sick wards at the far ends. The Irish Poor Law Commissioners published Wilkinson's design for the main block in 1848. 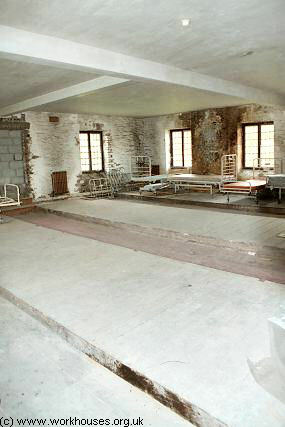 The dormitories of the workhouse were provided with low platforms on which able-bodied inmates slept. At the rear part of the main building was a parallel single-storey ranging housing various utility rooms such as bakehouse and washhouse, and possibly stables. A two-storey block, presumably a fever hospital, stood at the east of the main block. Those dying in the workhouse were buried in a graveyard a few hundred yards up the hillside to the north of the workhouse. In May 1889, four sisters from the St John's Convent of Mercy in Tralee came to Dingle to take over the nursing care in the workhouse. In 1922, after the creation of the Irish Free State, the Board of Guardians was abolished and its function taken over by the Health Board. 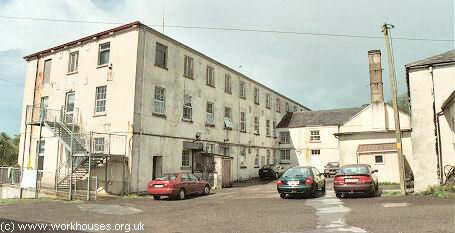 The workhouse was closed and its 40 inmates were transferred to Tralee. The institution then became Dingle Hospital, with its Matron and Sisters still being provided by the Order of Mercy. In more recent times, the hospital was known as Dingle Community Hospital but closed in 2010 with medical services being transferred to a new site. Kerry County Library, Moyderwell, Tralee, Co. Kerry. Holdings include Board of Guardians' minutes (1840-1920).